improving on key elements to increase production and reduce cost. The first thing we improve is the fastener; from multiple confusing pieces down to a single piece design utilizing a keyhole slot to create the locking mechanism. This greatly reduces the fastener cost but more importantly, it simplifies the insertion process. Having fasteners on the surface often require manual labor or expensive specialized equipment for installation. 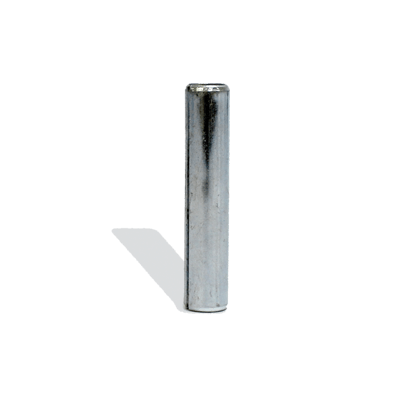 Lockdowel only requires the fastener to be inserted on the edge and integrates perfectly with existing proven edge drilling or dowel insertion machines. To eliminate the glue requirement when constructing a cabinet with no visible fasteners and comparable strength, we designed the interference of the barb geometry and keyhole slot to perfection. Together, each H-Clip joint provides over 100 lbs of pull force and once assembled, no fasteners are visible. Each H-Clip joint also include an 8 mm spring pin to provide over 700 lbs of sheer strength. The wood will break before our fasteners do. To start, cabinets built with Lockdowel fasteners pass all ANSI/BIFMA or AWI Standard. But we don’t stop there. Our fasteners are engineered for rigorous testing and we will work with you to meet all specialized requirements. Simplicity in design, the fastener naturally reduce the assembly process. The h-clip snaps on firmly inside the keyhole slot. With practice, a base cabinet can be assembled in 2 minutes, and a drawer box in 30 seconds. Every product we have converted to Lockdowel shows a significant increase in assembly time by as much as 60%. 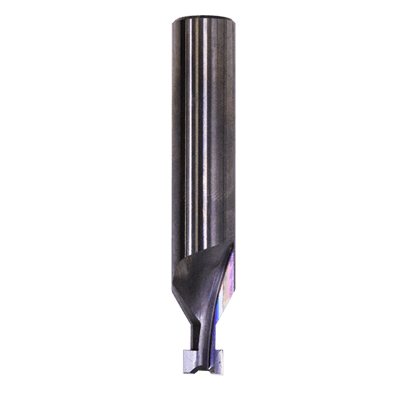 Any CNC router that is capable of holding 0.01 mm tolerance can use our router bit for milling the key slot routs. An h-clip rout consists of 1 pass at 10.75 mm which creates an undercut for the h-clip to snap into. Next to the h-clip rout is a standard 8 mm hole for the use of spring pin which is essential to the design to provide sheer strengths and squares the cabinet. We work with equipment manufacturers to integrate our fasteners for automatic insertion with an edge drilling machine, but starting with manual insertion is still faster and easier than before. The barbed h-clip and spring pin use standard 8 mm diameter drilling and 32 mm spacing. More manufacturers and machinery are available on our equipment page. Lockdowel product shares a very similar linear work cell that consists of routing, edge banding, edge drilling/insertion, and assembling the piece. The whole process of construction a cabinet from start to finish is 6 – 10 minutes per cabinet. Time is dependant on the CNC router speed and setup. The easiest step is assembling a Lockdowel product which takes about 2-3 minutes per base cabinet and 30 seconds for a drawer box. Watch an upper cabinet assembly contest between Dan and Bryan! For more videos, check out our youtube channel. Built in with our cabinets design is the hanging rail system. Level and install the hanging rail to the kitchen wall and hang the cabinets for easy installation. The H-Clip fastening system consists of three main components; the Barbed H-Clip, Spring Pin, and Router Bit. The H-Clip works with panel thickness ranging from 5/8″ to 3/4″ and a variety of different materials: particle board, plywood, hardwood, and selected plastics. The main component in the h-clip system. Compresses and flex out when fully inserted to provide over 100 lbs pulls force. The h-clip construction is permanent following assembly. The steel spring pin is essential to the barbed h-clip to provide sheer strength, helps square the unit, and easy alignment during assembly. Our special t-slot cutter which cuts the keyhole slot for the h-clip. This creates the locking portion on the surface of the wood. 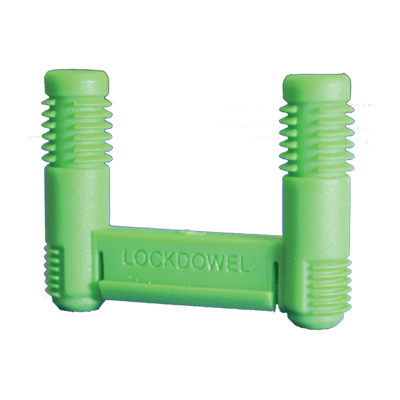 Lockdowel has built an extensive library of hundreds of products that had been converted to using Lockdowel’s hardware. We partnered with software developers in the woodworking industry to provide our cabinet product library to you for free. We also provide support for prototyping, testing, and equipment needs. Our job is to make your life simple and ensure a smooth and accurate transition when using our products. Our Evaluation Kit is the first step toward a more profitable future. You get a ready-to-assemble Demo Unit which will introduce you to our new fastening technology. Enough fasteners and one router bit to create several sample units. Visit our evaluation kit page for more information on the many kits we have that is suitable for your business. We believe in challenging the status quo in the fastener and woodworking industry. We strive for innovation greatness and are seeking for people like you that share the same vision. Stay connected with us on social media and share your story!